wpDiscuz comment forms can be found in Dashboard > Comments > Forms admin page. By default there is one Default Form. Comment form editing screen consists of the Comment Form Settings area (above) and Comment Form Builder section (below). In this documentation we’ll go through all settings of comment form. The “Comment Form Builder” is described in the next article. In this area you can change comment form title. 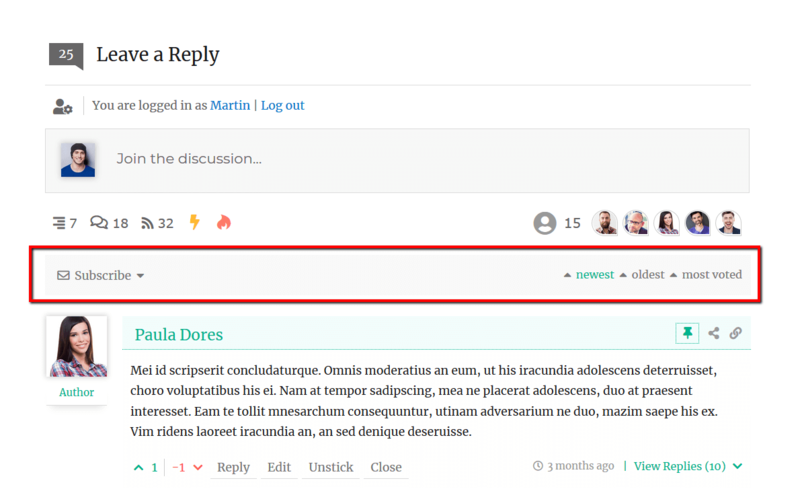 This title is only used in the list of comment forms (dashboard). This title is not displayed on website front-end. Next comes the “Language” field. By default it’s set “en_US”. You don’t need to change this if your WordPress installation language doesn’t match. This option should be only used for multi-language websites. For example, if your site has two languages “fr_FR” and “en_US” you should create another comment form and insert “fr_FR” in this field. Thus you’ll have two comment forms for each language. When you change language on website front-end the comment form will be changed automatically to according language version. This option helps you hide/show comment form for certain user roles. by default all user roles are enabled to see and use the default comment form. This option is only related to registered users. If you want to hide or show comment form for guests please see the next option. Guests are the not logged-in website visitors.This option allows to control guest commenting on your website. If this option is set “No”, only “Please login to comment” message will be displayed on comment form. Guests will not be able to comment, unless they decide to register, login and comment as authorized user. 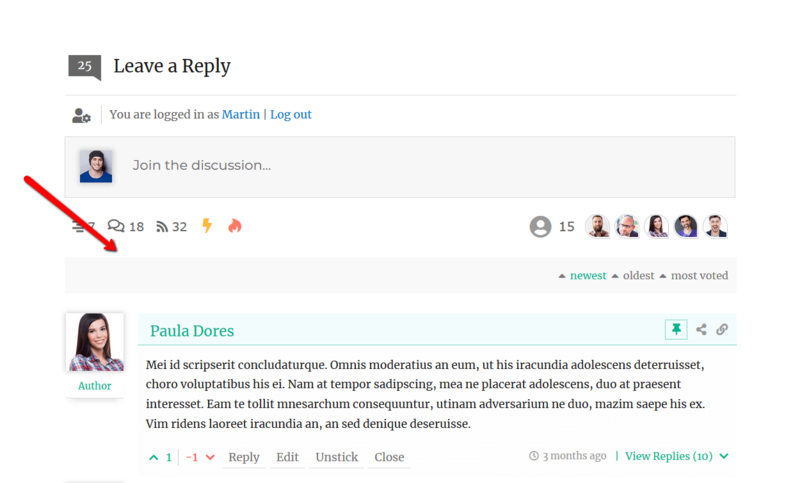 Note: wpDiscuz allows to create multiple custom comment forms with individual guest commenting settings. 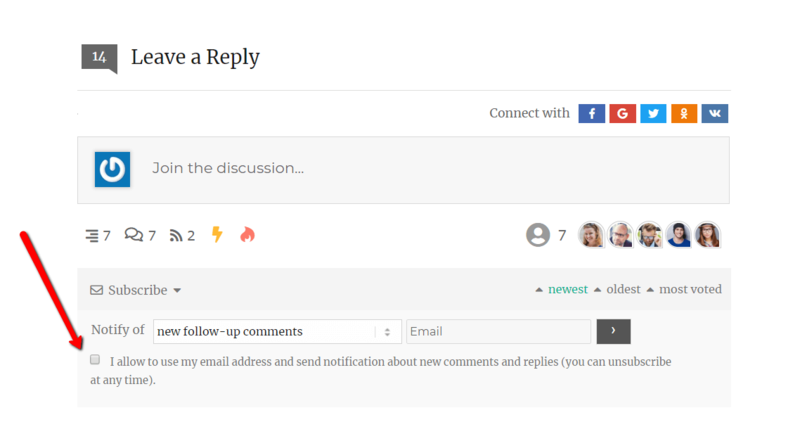 You can enable guest commenting for one comment form and disable it for another. Thus wpDiscuz ignores WordPress option “Users must be registered and logged in to comment” located in Dashboard > Settings > Discussions admin page. Please don’t use this option to control guests when you use wpDiscuz. Below all wpDiscuz comment forms you can see a grey bar with “Subscribe” toggle on the left side and the “newest – oldest – most voted” sorting buttons on the right side. When you click on the “Subscribe” toggle it opens comment subscription form. This form allows guests and logged-in users to subscribe to either “all new follow-up comments” or “new replies to own comments”. This subscription bar also displays Unsubscribe links if current visitor has subscribed to one of those option. If this option is disabled, the “Subscribe” toggle of the grey bar will be removed. Thus people will not be able to subscribe to all comments and all replies of their comments. 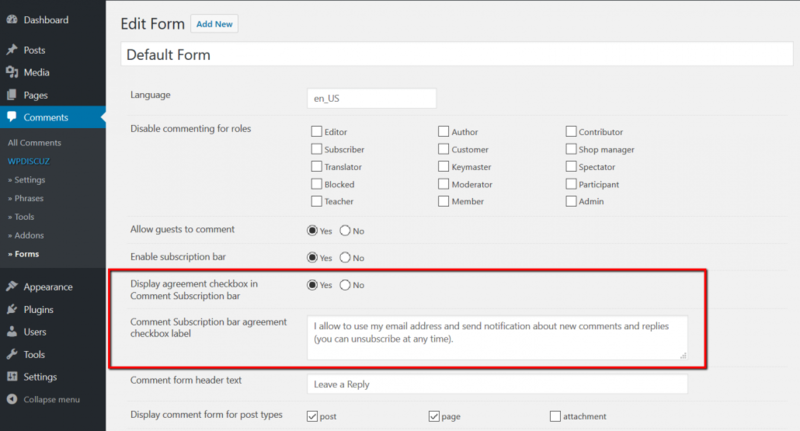 Started from wpDiscuz 5.1.3 you can add an agreement checkbox in comment subscription form. Using following two options you can enable this checkbox and change the agreement label. This is the header title of comment forms. By default the text is “Leave a Reply“. 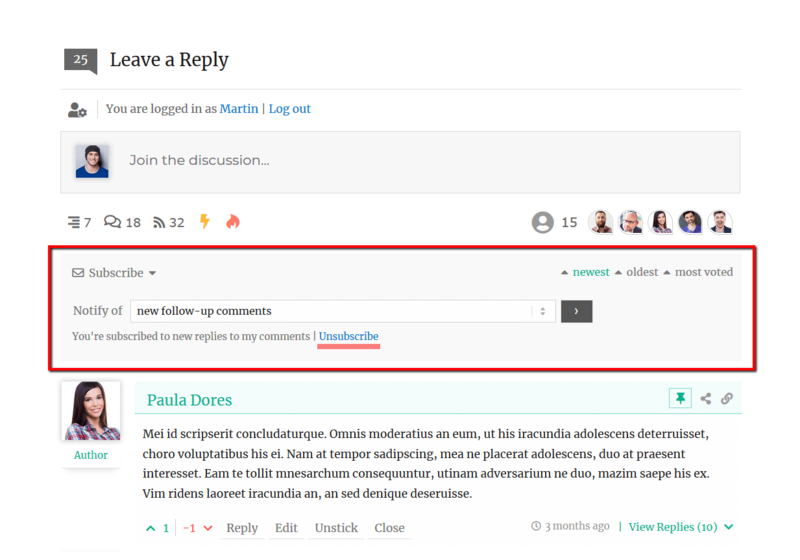 As it’s already mentioned above, wpDiscuz allows you to have different comment forms for different custom post types. By default the Default Form is enabled for Posts, Pages and Attachments. You can see the list of all post types of your website next to this option label. Note: If you’ve installed WooCommerce plugin it adds “product” post type in this list. If you enable wpDiscuz form for WooCommerce products it’ll replace the native Product Review system with wpDiscuz comment form. We don’t recommend this, because the Native Review system has WooCommerce specific functions for rating star saving and displaying. Using wpDiscuz comment form you’ll lose products Rating Star feature. 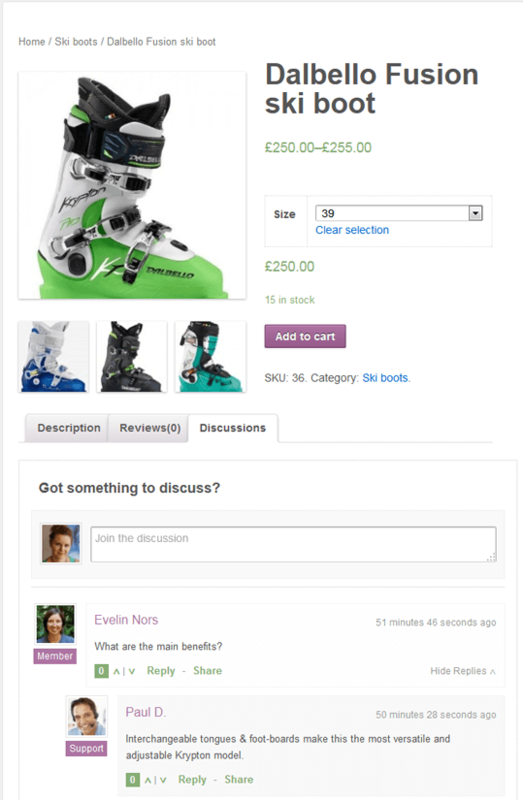 You can install WooDiscuz plugin (not wpDiscuz) to add another tab for product Discussions and keep the native Review tab. wpDiscuz forms should be disabled for WooCommerce “product” post type if you want to allow people rate your products. 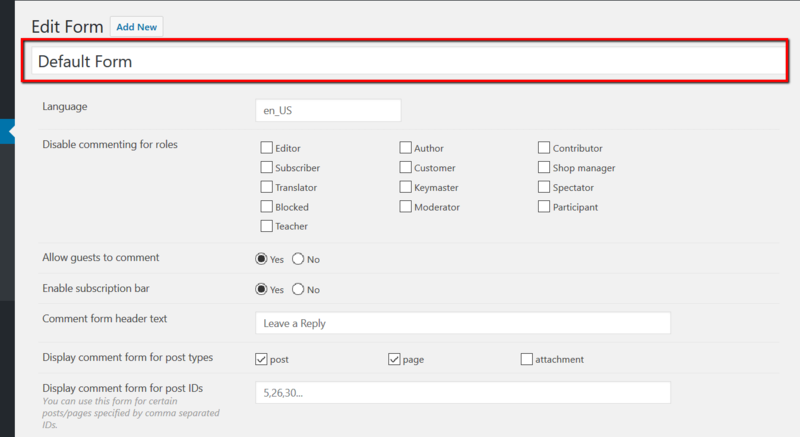 Using this option you can more selectively choose the custom comment form location. This takes priority over other settings and only displays the form for posts/pages with certain IDs. IDs should be comma separated as it shows the filed placeholder.